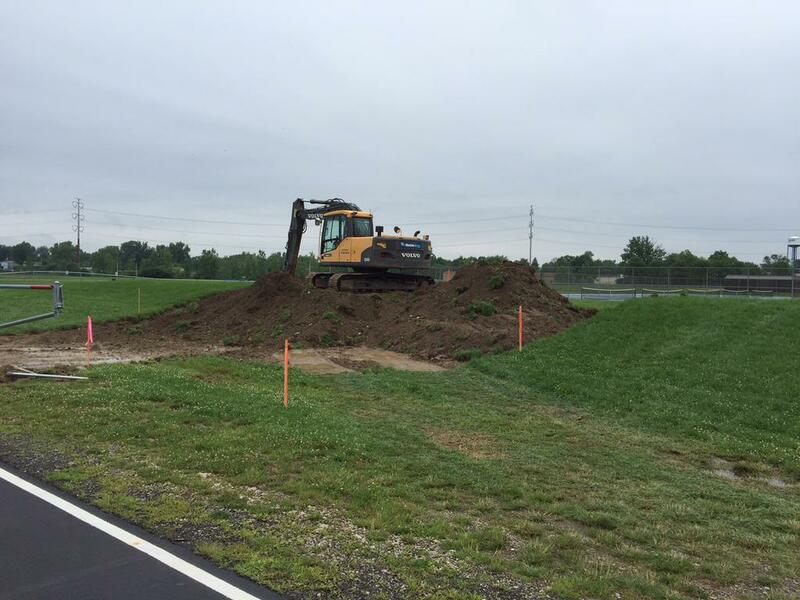 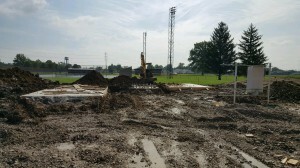 Today crews broke ground for the new Hilliard/Darby tower site. 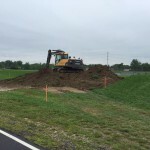 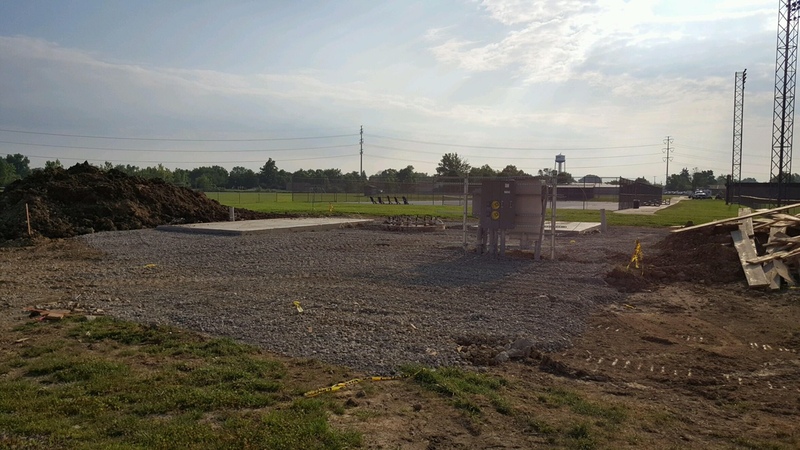 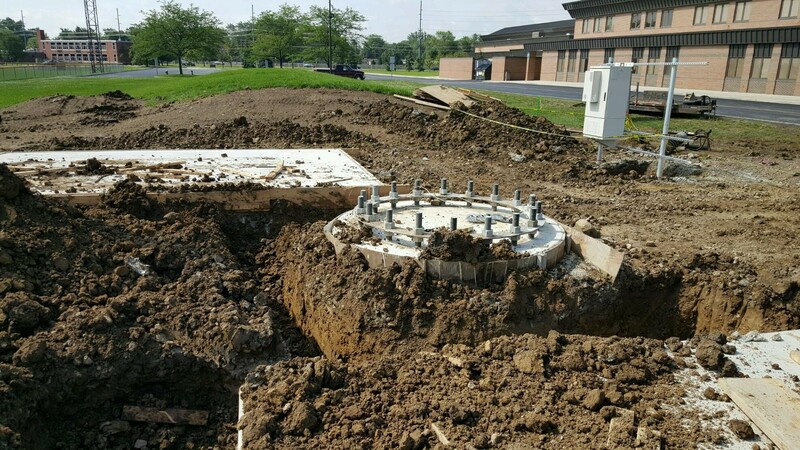 The site, which is a partnership between COIRS and Verizon Wireless, will be a 190′ mono-pole tower with two shelters that will serve both entities and provide much improved public-safety radio and private 3G/4G coverage throughout Hilliard and Norwich Township. 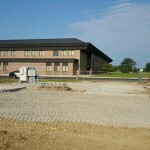 Completion is expected by the end of September. 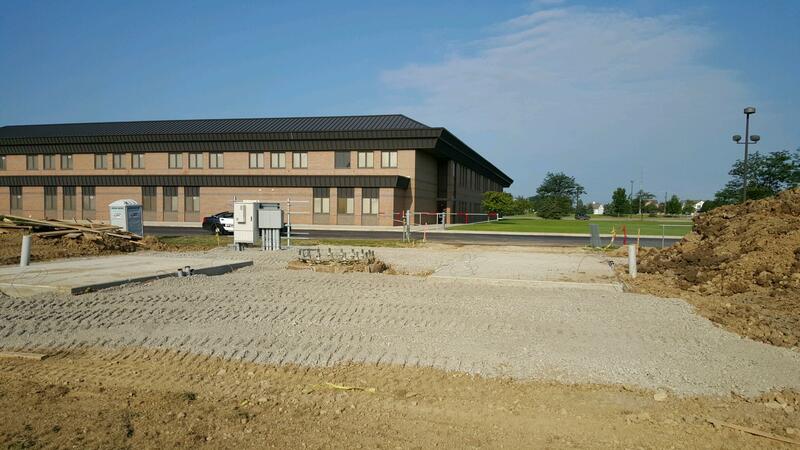 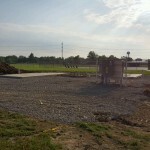 As of today, the concrete pads have been poured and the base for the tower is ready. This base is 42 feet deep and 40 yards of concrete. 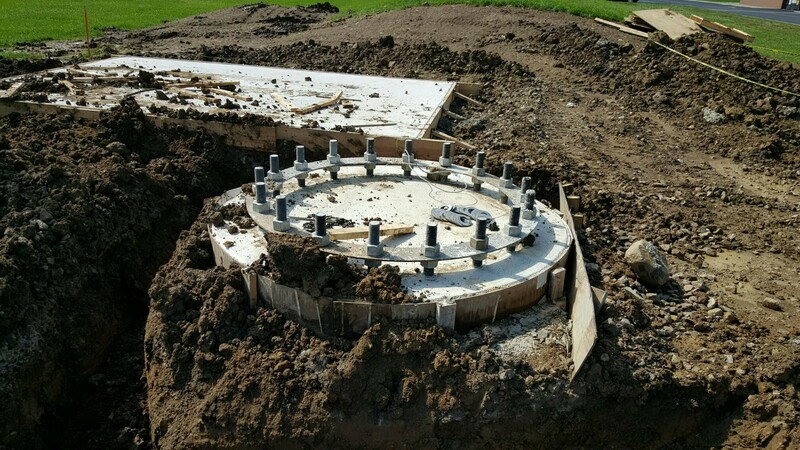 This will hold the 195′ tall tower. These pads are 4″ thick and will hold the buildings that will house the electronics.